Click on the book icon to see a larger image. 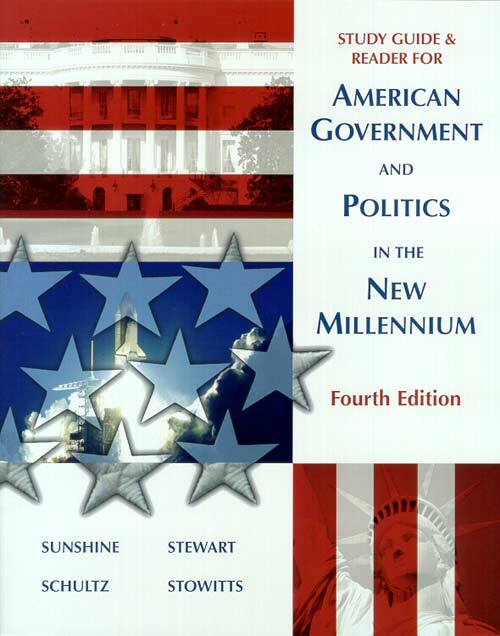 Theresia Stewart is an Associate Professor of political science at Elizabethtown Community College. Theresia is a leader in the field of multicultural education, serving as chairperson of the multicultural committee at her institution since 1994 and assisting in the development of curriculum for teaching international relations, funded through a grant from the U.S. Institute of Peace. She shares her expertise by participating in workshops among individuals in the business and political community. Virginia (Ginny) Stowitts is an Associate Professor of Government at Palo Alto College in San Antonio, Texas. She serves as the Chairperson of the Social Sciences Department. She is the co-author of Texas Politics: Roots, Culture and Reform and the editor of American Government: A Public Policy Reader. She received her Masters of Arts in Political Science from St. Mary's University in San Antonio, Texas. She is currently the second Vice-President of the San Antonio Chapter of the League of Women Voters. Her primary function is the coordination of voter services. She is a former president of the Women's Political Cancus of Bexar County. Karen Vogel Sunshine, Professor of Political Science, has a Ph.D. in Politics from the Graduate School of Arts and Sciences of New York University. She is the head of the Political Science discipline in the Social and Behavioral Sciences division at Rockland Community College, State University of New York. Karen, whose specialization is political psychology, is a 1998 recipient of a national award (NISOD) for teaching excellence. Dr. Sunshine is the author of numerous articles. Christine Schultz teaches in the political science department at Santa Monica College California. Christine graduated from the University of Southern California with a degree in Political Science in 1973. She received her Ph.D. from the University of California, Los Angeles in 1986. Christine's particular interest is in the role mass communications play in elections. Christine is also Coordinator of the campus Scholars Program.